This is an unending topic for us – should I dehull my soybeans before high-shear dry extrusion and mechanical oil pressing? We’ve covered it before on our blog (here, here, and here). It’s a common and important enough topic that it deserves further consideration and direct recommendations here. Do you have a customer requirement for dehulling? As a supplier of high-shear dry extruded, full fat soy and/or ExPress® soy meal, Do you have a strong dairy feed market near you (and do you want to buy a pellet mill for the hulls, more on this later)? If the answer to these two questions is “no”, then I recommend to not dehull your soybeans before dry extrusion and mechanical oil pressing. In general, leave the hulls on. Let me explain. First, it is true that dehulling will lower the amount of crude fiber in the meal, and will increase the crude protein content. Typically, the amount of crude fiber is reduced 1.5-2% units, while crude protein is increased by the same amount. However, when you do this, every day about 6-8% of the total weight of your incoming soybeans is now being diverted to a lower-value co-product. Soy hulls are worth roughly one-third as much as meal. So, be sure to do the math – how much of a lower-value ingredient do you now have to move? Also, soy hulls have a very low bulk density (i.e., are very light). This means potential difficulty conveying them around, and loading them onto a truck or rail car. It’s important to understand how much quality nutrition you’re hauling around. This is where the pellet mill comes in. Often, in order to get around the light bulk density of soy hulls, feed mills will install a pellet mill. Pelleted soy hulls have a much higher bulk density. 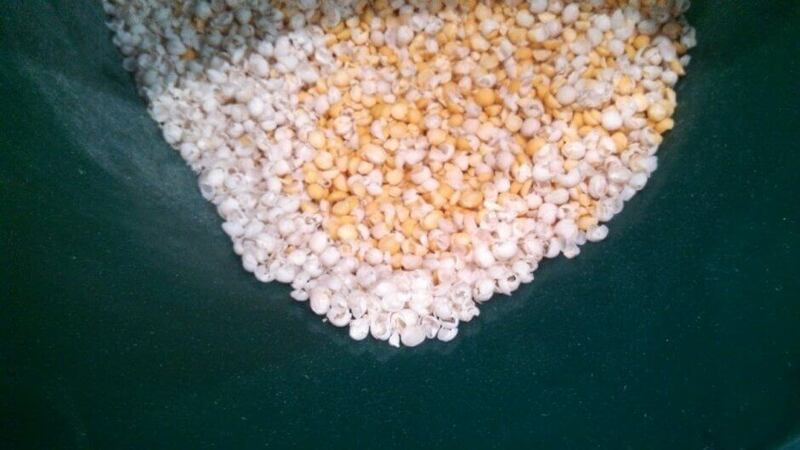 Do you want to install a pellet mill to deal with your soy hulls? Lastly, the only good, consistent market for soy hulls is dairy. It is related to the hemicelluloses (type of fiber) in soy hulls that work well in the rumen, making the fermentation process enhanced for the cow. So, most dairy nutritionists will include soy hulls in a formulation, but in my experience, this is typically around 5% of the dry matter, which is a somewhat low inclusion level. But, with all this being said, aren’t high-shear dry extruded soy meals better without the hulls? In a word, “no”. As we’ve documented before, ExPress® soy meal with the hulls is digested the same as dehulled meal. And, while it’s true that the crude protein level will be slightly lower with the hulls, it’s important to remember that there are many types of soy meal – ExPress® meal and high-shear dry extruded, full-fat soy have residual oil in the meal (an excellent source of energy) and higher amino acid digestibilities versus commodity solvent-extracted soybean meal (here, here, here, and here). In most cases, it pays to leave the hulls on raw soybeans before high-shear dry extrusion and mechanical oil pressing.